You can see it's quite dusty. It was also eating batteries very fast. So a few years ago I was already thinking of buying an airplane. Beginning of june 2006 an advertisment was for a XTwin plane, for only 25 Euro. I bought it and enjoyed some nice flights. It wasn't flying stable, with wind it's very difficult to fly. I build a turbo battery charger, but this killed the battery after a few times of charging. Now I wanted a better controllable plane so I checked out some sites and people. 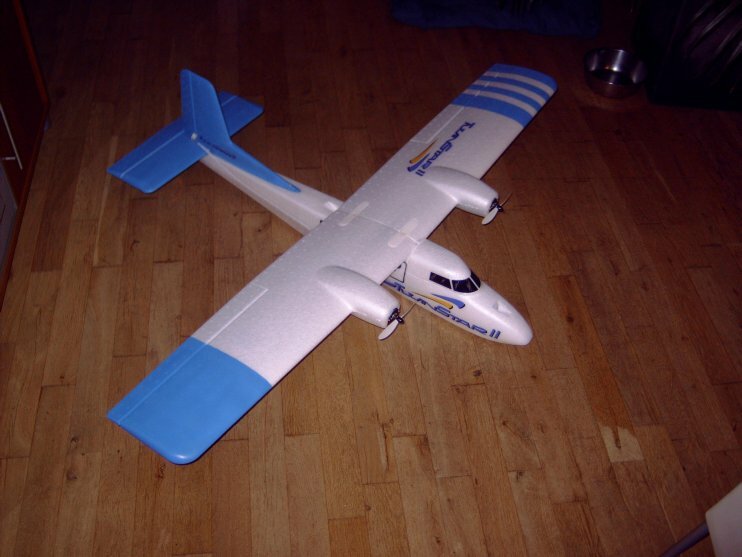 I didn't want to go for a petrol engine driven plane, so an electro it should be with all the controls e.g. rudder, throttle, ailerons and elevator. 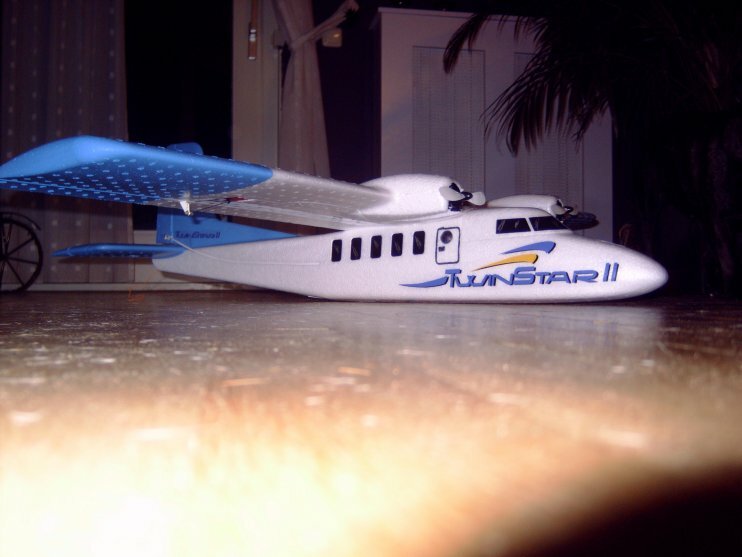 I bought the Multiplex Twinstar II. 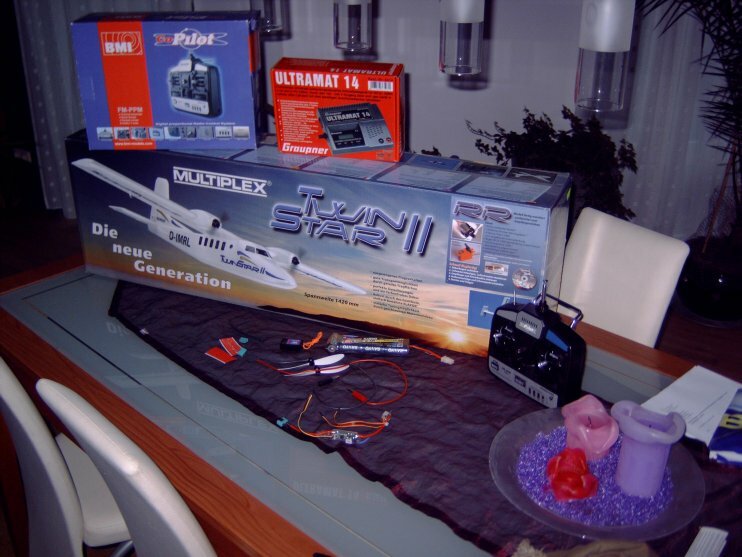 Next to this package I also bought a flight(first 7x now 8x1.2v 3300mAh NiMh) and transmitter batteries, a battery charger and 4 Channel 35MHz transmitter, E-SKY RX-TX 35MHz, see www.bmi-models.com. See picture below for an overview of the bought items. Also some spare propellors, glue and paint were bought. 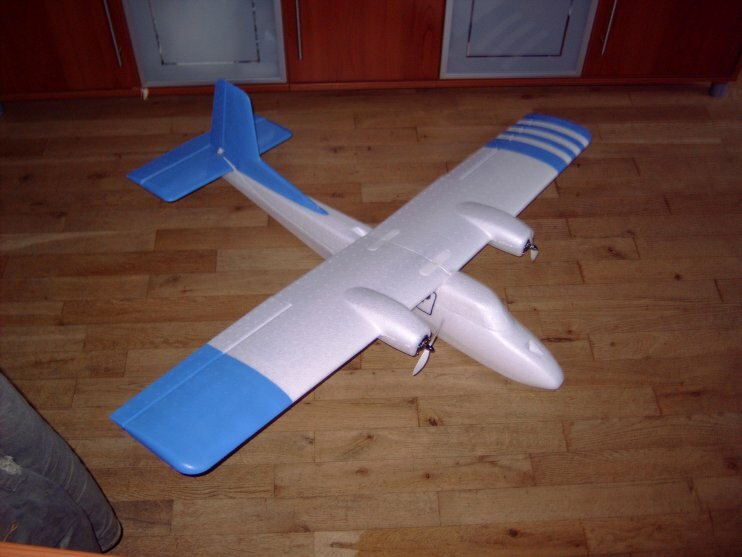 The wings are painted to see left/right difference, the rudder and elevator just to see the plane better. 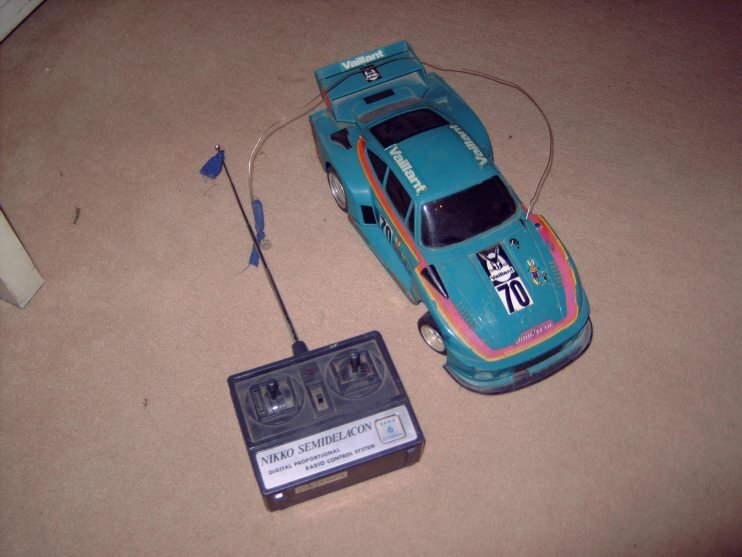 The receiver was connected to all the servo's and battery, the ground connection is normally the outher edge of the receiver box. You normally can not blow the receiver module. 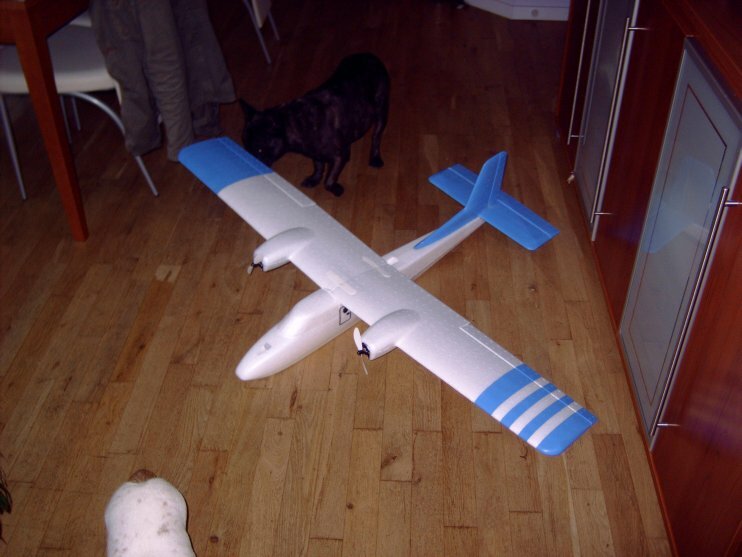 A test run was done, by putting the plane somewhere it could not fly away. This went ok, controls were operating. Quite some wind coming from the propellors. Next thing to do is finalize the airplane. Below are pictures of the finalized plane. Next thing I did is finding somebody who is willing to assist me on the first flights. A local RC club is very close to my home, so I can easily go there when the weather is good. 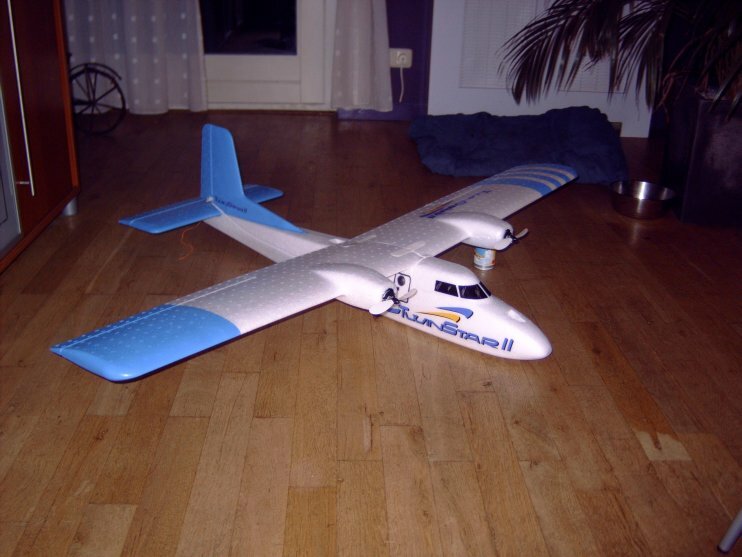 Now I've done 4 flights, one time it crashed into the corn, nothing was broken. This was due a lost propellor, then the plane was not controllable. Only some scratch damage.